Viking Ocean Cruises has revealed that for the first time ever, the luxury cruise line will sail a 141-day world cruise with its fourth ship. Viking Sun which is currently under construction will spend its maiden season sailing around the globe starting in December 2017. If you’ve ever wanted to sail around the world this could be the best chance to do so. The cruise will set sail from Miami, Florida on December 15, 2017 at a booking price from $44,999 per person. From now through May 31, 2016, each guest who books the World Cruise will also receive $2,000 in shipboard credit, $750 in spa services credit and $750 in onboard shop credit. When sailing there will also be plenty of packages included unlike other major cruise lines. There will be free onboard wi-fi, business class air, transfers to and from the ship, all gratuities and service fees, Viking’s Silver Spirits beverage package covering virtually all drinks onboard and all medical services. Viking Cruises has said that all the added extras are worth $22,500. 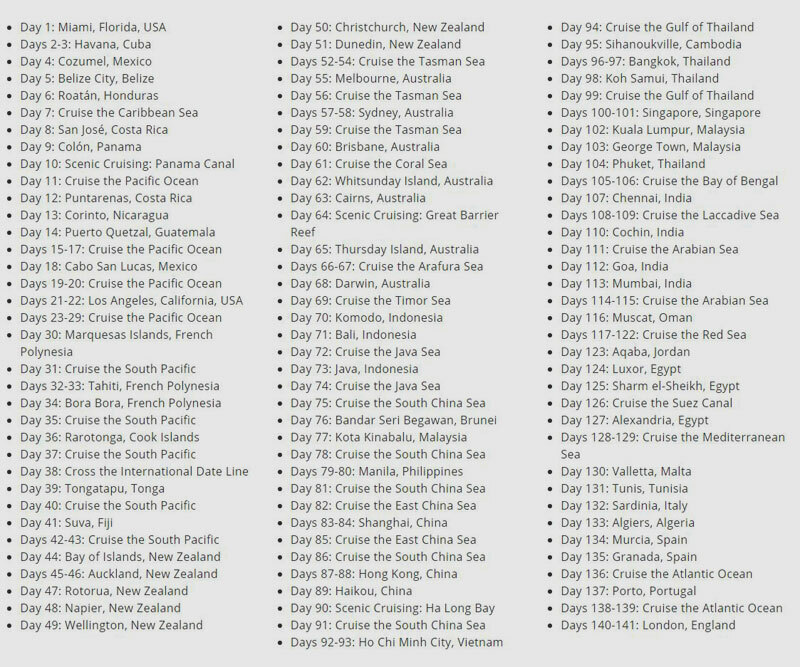 We’re not going to go through the entire itinerary as that would just be too much, but the Viking Sun will visit five continents, 35 countries and 66 ports, with 12 port overnights. What we will do is include a photo of all the ports the Viking Sun will be calling. The 141-day voyage will end in Greenwich, London but cruisers can also choose a slightly shorter 120-day voyage departing from Los Angeles 21 days after the departure from Miami. 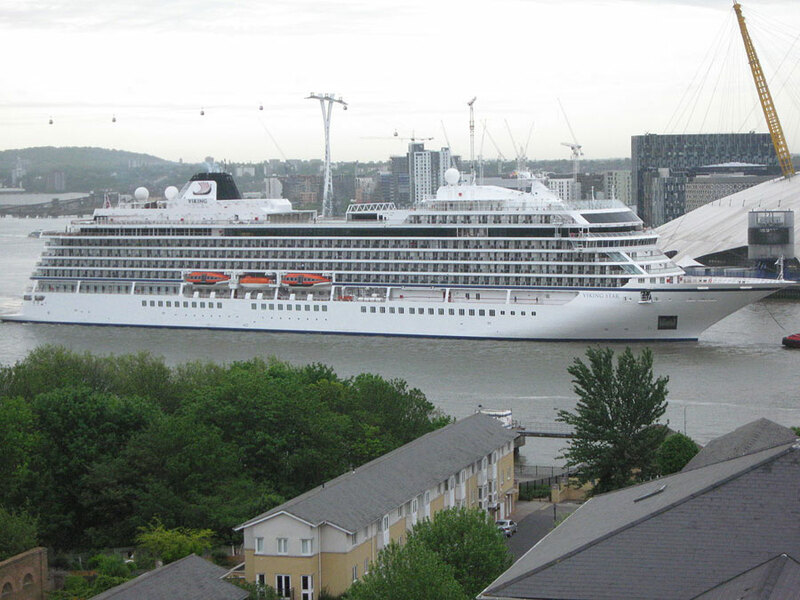 Viking’s ocean ships have a gross tonnage of 47,800 tons, boast 465 cabins and accommodate 930 passengers. Viking Sun will be the company’s fourth ship in the fleet and will be delivered in late 2017; the two remaining yet-to-be-named ships will be delivered in 2018 and 2020, respectively.